The service got a boost from UFC Fight Night last month, when more than 600,000 peope signed up. Profit at Disney's largest business, TV programming, gained 7 percent as the company continues to battle viewer losses and broadcast earnings grew. Cord cutting by cable TV audiences has led Disney to stake much of its future on paid streaming services in sports, family viewing and more grownup fare. Profit in cable TV, led by the ESPN sports network, slipped 6 percent. ABC's earnings grew 40 percent. The direct-to-consumer unit lost $136 million. 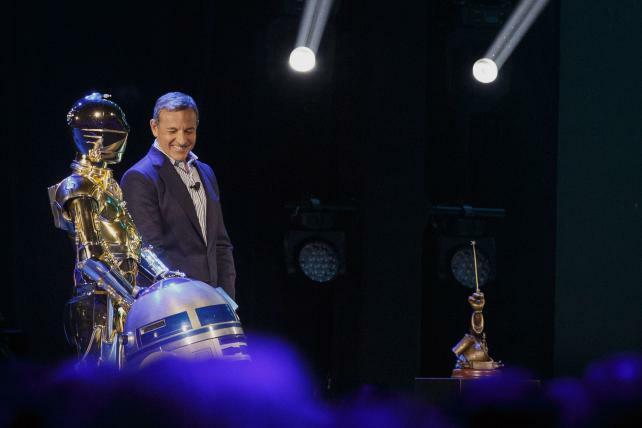 The company plans to launch Disney+, a service featuring films and TV shows from its Marvel, Pixar and "Star Wars" brands, later this year. Over the next few months, Disney will complete its $71 billion acquisition of 21st Century Fox Inc.'s entertainment assets, a deal that will give the company majority control of the Hulu streaming service, as well as many other channels and film franchises. Parks have been Disney's profit mainstay as the company navigates this transition. Earnings from the division that includes theme parks, cruise ships and hotels grew 10 percent, Disney said, as revenue advanced 5 percent. Profit at the movie studio fell 63 percent from strong year-ago levels.